I'd like to think that after a long day swinging around and twirling and whirling in a good old fashioned junkyard jamboree, those little tractors that Mater herds around get pretty tired. 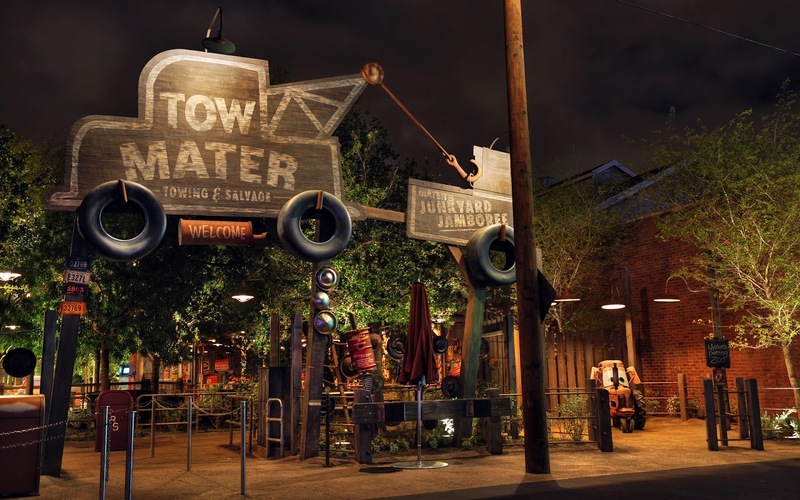 So when I see Mater's Junkyard Jamboree quiet in still serenity after a day of whooping and hollering, I imagine those little guys dozed away, maybe a tongue hanging out, too little to tip over without feeling a little guity, and peacefully sound asleep. After all, tomorrow will bring another jamboree, and bless those little tractors for never seeming to get tired of it! Mator's Junkyard Jamboree, finally at rest, late at night.